Welcome to your complete guide to the Stansted Airport taxis and transfer services, helping you get to and from the airport on time. Browse who the local taxi companies are, use our handy fare estimator to see how much local cabs cost or find where Stansted Airport taxi rank is in the sections below. You can also read our Q and A on Stansted Airport where we answer all of your questions from how to catch one of Stansted’s taxis at the airport to how to order child seats for your taxi ride. Offer Fixed Prices. Meet & Greet Service within Stansted Airport. No Waiting Charges. Wide Selection of Vehicles Available; Saloons, MPV's and Minibuses. Cash or Card Payments Welcome. Book Online or Call for a Competitive Quote. We specialize in Stansted taxi transfers to and from London. Our cheap prices include: free Wi-fi, meet&greet, personalized minutes after landing, flight tracking, availability 24/7. Stansted taxi transfers are made with various vehicles from our fleet - saloon to executive, minibuses and coaches. Register online on 247 Stansted Airport Transfer to get a 10% discount for life. Airport Transfer Cars provide a great Airport Transfers to & from Stansted Airport. Operating from all other major airports, railway station and seaports too. 24/7 Service and provide fixed prices with no hidden fees. Central to Stansted Airport from £55. Vehicles Available for up to 8 people. Free meet & greet. Call or Book Online for the best deals! We offer a 24 hour London airport transfer service to all travellers flying to or from any major airport in London. We specialise in transfers from/to UK Airports including Heathrow Airport, Gatwick Airport, Stansted and Luton Airports. As well as London Airports we also cover other popular destinations including Southampton, Portsmouth, Harwich and Dover sea ports. London Cabs provide large, safe and comfortable cars, which are very affordable. Fit all your bags into our minicabs and enjoy the smooth ride to or from Stansted. Enjoy a personal service where our drivers will meet and greet you upon arrival. 24/7 London minicab services to your assistance. Make a minicab booking online, it takes less than 30 seconds. You can see that getting a taxi between Stansted and London can be very cost-effective, depending on your journey. Whether you’re hiring a luxury cab for business or a minibus and split it amoungst your fellow passengers, the price of a cab is good value… we think! For example, if you’re going on a hen-do to Ibiza for a week from Stansted, a group taxi booking might only cost you £11.25 each for a 16 seater minibus and driver to London. That can be a lot cheaper than other transport options such as getting the train or taking a car and parking it at the airport! Stansted Airport: is it in London? London Stansted is not, as its name may suggest, located in London but lies in fact 30 miles north east of the capital’s centre, in Essex, only 3 miles from Bishop’s Stortford and 6 miles from Harlow. But don’t worry, there are plenty of Stansted Taxis available to choose from. Like the other London airports, it can take you to 172* destinations on airlines such as Easyjet, Ryanair and Air Berlin. *correct from August 2017, please see the Stansted Airport website for a full list of desintations. What about taxis for getting to and from the airport? A taxi between central London and Stansted may cost between £80 and £100 (significantly more for a VIP service) and will take about 1 hour 10 minutes, although much depends on the time of day and driving conditions on the M11. The shorter trip between Stansted and Cambridge is cheaper at around £60. Although a lot of companies will charge extra for anti-social hours this is not always the case, so do your homework before committing. You may also like to check that there is no charge for a delayed flight. Is there a taxi rank at Stansted airport forecourt? There is no taxi rank at Stansted so it is not possible just to take pot luck and queue for one. If, however, you have not pre-booked it is possible to make arrangements in the International Arrivals Hall at the appropriate desk. When deciding whether or not to book a taxi or take your own car to the airport, it is worth bearing in mind that apart from the costs of parking, the long stay facilities involve a 15 minute transfer on the shuttle bus. With many people choosing to fly with nothing but hand luggage, especially on many of the budget airlines, it is worth pointing this out to your taxi driver, as they may well build in half an hour or so to allow you to collect luggage from the carousel. Popular meeting points for Stansted taxi drivers include the Airport Information Desk (clearly marked near the Arrivals gate) although some companies will ask you to phone the driver on arrival to make arrangements and this can keep parking charges to a minimum. Every possible type of vehicle is available for trips to and from Stansted. 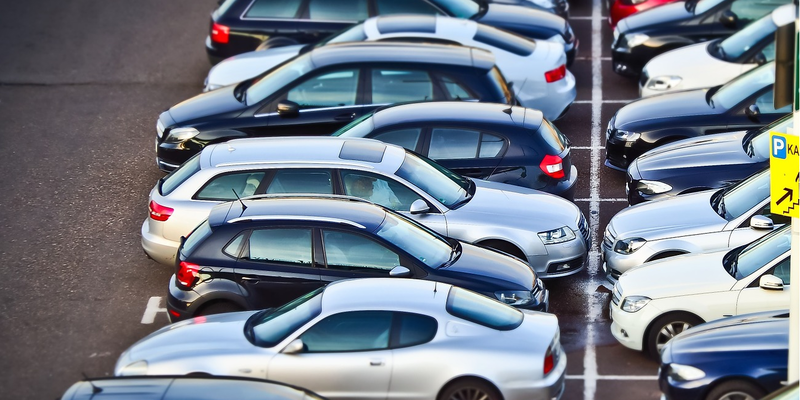 Depending on your requirements and budget, a range of vehicles could be offered. Saloon cars (i.e. VW Passat, Ford Mondeo or similar) will be able to comfortably take up to three passengers with three large suitcases (up to 20kg each). A people carrier on the other hand will take up to 5 passengers (plus 5 suitcases of 20kg each) or 6 passengers with their hand luggage only. It’s a perfect solution for a large group of friends heading off for a city break or a stag/hen party abroad with very little luggage. If you fancy travelling in style or are a business traveller wanting to work on the journey you might like to consider a VIP taxi, commonly a Mercedes or BMW, driven by a uniformed chauffeur who will even carry your luggage into your house. Leather upholstery, Sat Nav, air conditioning and Wi Fi are the norm when paying for this sort of service. Drivers are also CRB cleared and discreet so that you should have no worries if making confidential business calls from the vehicle. 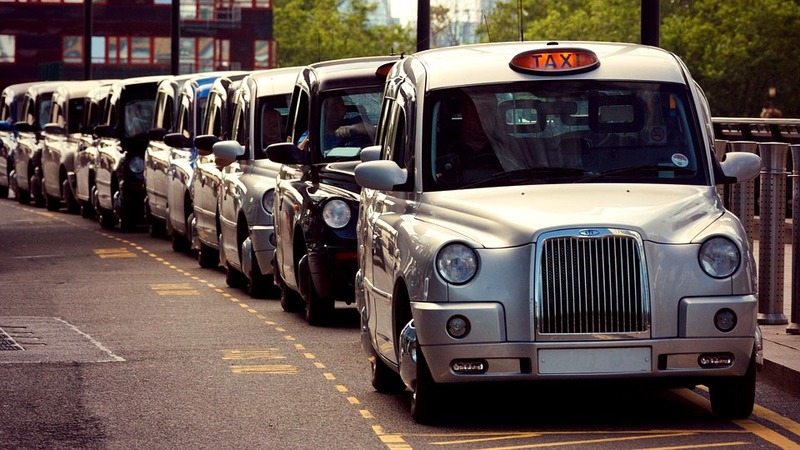 Taxis, minicabs – what’s the difference? Most of us prefer to pre-book our travel to and from the airport but if not, then in theory at least, we would be able to flag down a taxi, whereas minicabs must in law be booked in advance. Both, however, have to meet certain regulations in order to be licensed and drivers of both classes of vehicle should be equally competent and reliable. With some taxi firms you can arrange a Meet and Greet Service. A driver will wait for you in the arrivals area with your name (or your company’s name), whichever is more suitable. This service is preferred by business travellers, and also by first time visitors to the UK. What happens to your taxi booking if your flight is delayed? With technology allowing real-time checks of flight arrivals, many taxi firms will know your flight is delayed and will collect you at the new expected time of arrival. This usually means you will not incur any extra charges if your plane is delayed. Make sure you enquire with the taxi firm when making your booking if this is the case. Companies that book a higher level of taxi transfer services to and from Stansted are able to set up a corporate account, you would need to enquire with the taxi firm you prefer to use. Most taxi firms will be able to provide an age appropriate baby/child seat upon request, most likely this service will be free. Enquire with your taxi firm. Does the taxi firm have to be located near Stansted? No, you don’t need to find one based near Stansted. It’s a common mistake to think that passengers need to book with a taxi company close to Stansted’s arrival point, but usually it’s not the case. If you are after a better deal, get a quote from several taxi firms and compare.